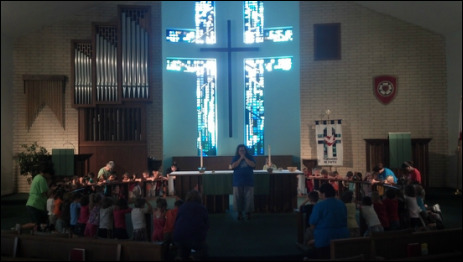 The Learning Village Preschool at Faith Lutheran Church offers a faith-based academically enriched educational program for children ages 3 to 5 years old. The Learning Village is a State Certified VPK Provider. The center provides a rich environment where children can develop to his or her fullest potential physically, emotionally, socially, creatively, intellectually and spiritually. Preschool classes are offered part-time and full-time. Three-year old classes have the flexibility of part-time 9 am to 12 pm, traditional school 9 am to 3 pm, or traditional school with wrap around care 7 am to 6 pm. Four-year old VPK only classes are offered 9am to 12 pm or 1pm-4pm. Four-year old VPK classes with wrap around care are also available. The Learning Village does operate off of a waiting list, pre-registration is recommended.